I am officially in holiday mode; November is just a couple of days away and my holiday spirit is in full effect. I can’t describe how excited I get during holidays with Christmas being one of my favorites. I have a lot of exciting holiday outfits, gifts ideas and holiday decorations and much more to share. A few weeks ago, I blogged about this Kate Spade dress that is amazing for holiday season here. 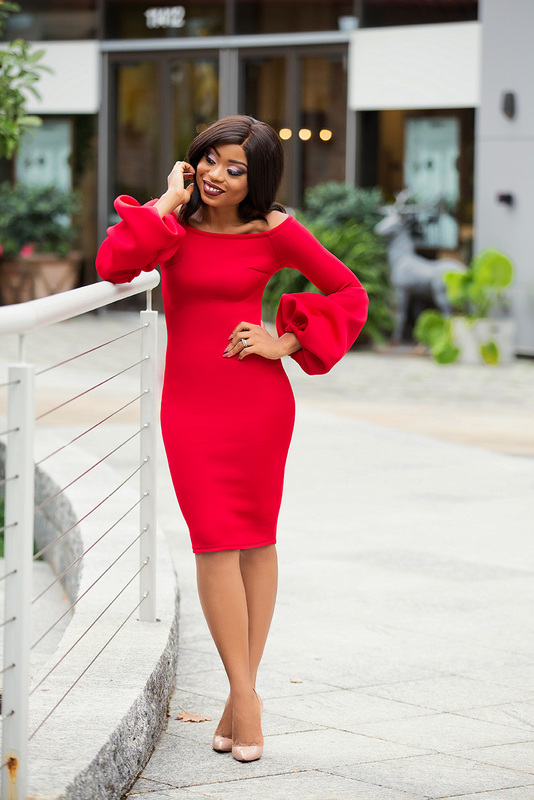 Today, I am officially kicking off my holiday outfit style in this fitted red dress. Red is the color to wear this season and it is synonymous with Christmas themes. 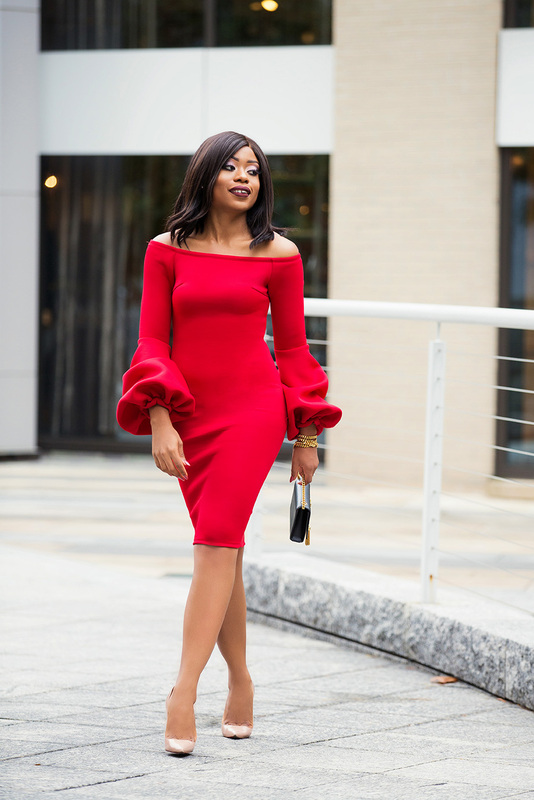 This red fitted dress and exaggerated sleeves is amazing and it doesn't require much accessories. It is simple, but unique with the sleeve details. All you need it a simple clutch black or beige – it is up to you. I styled it with classic beige pumps and completed the look with a black purse. For a chilly/cold night, I will add a long black coat. This post is sponsored by Icon Dzyns. As always all opinions are mine. Absolutely stunning! Perfect subtle combination for allowing the dress to be the center of attention. I definitely would have chosen a black purse as well. As for the heels, I would have chosen a subtle gold pair (for this would have worked as well).